As the credits rolled on Mongolian Bling’s screening in Beijing, a young man approached me, thanked me for the film and mentioned that his mother would like to speak to me. I’d been asked to clear the area so that we could set up for Quiza’s concert but he insisted and I turned around to see a smiling Mongolian woman making her way thru the crowd on crutches. 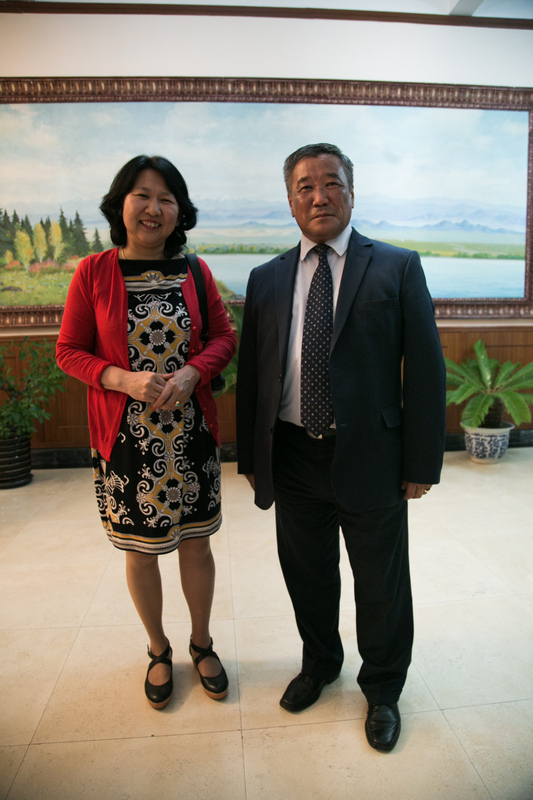 Her name was Oyunchimeg and her husband, it turned out, was the Mongolian Ambassador to China. “He’s sorry he can’t make it,” she told me as Quiza started to rap onstage. Lots of people had seen Mongolian Bling. It’d screened in 13 cities on four continents but as far as I knew, it hadn’t screened to any Mongolian government officials. I was stoked that the embassy had been represented in the crowd and excited at the prospect of the ambassador seeing the film. 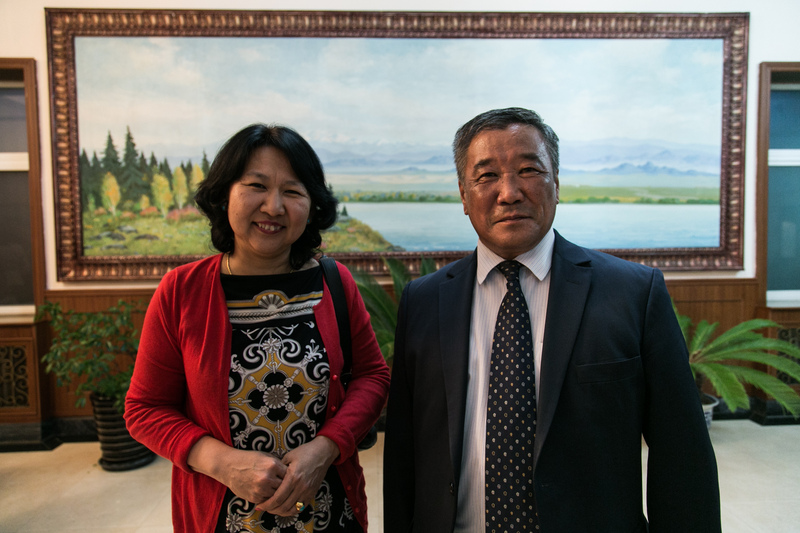 A flurry of emails followed and four days later I was sitting in the Mongolian Embassy showing the film to Ambassador Sukhbaatar and a gaggle of employees, children, spouses and grandparents who called the embassy home. And so it came to be that the Mongolian Embassy organised a screening of Mongolian Bling and invited all the diplomats in Beijing. Counsellor of the Embassy, Khurenbaatar and Oyunchimeg stood inside the embassy, welcoming the guests as they arrived. 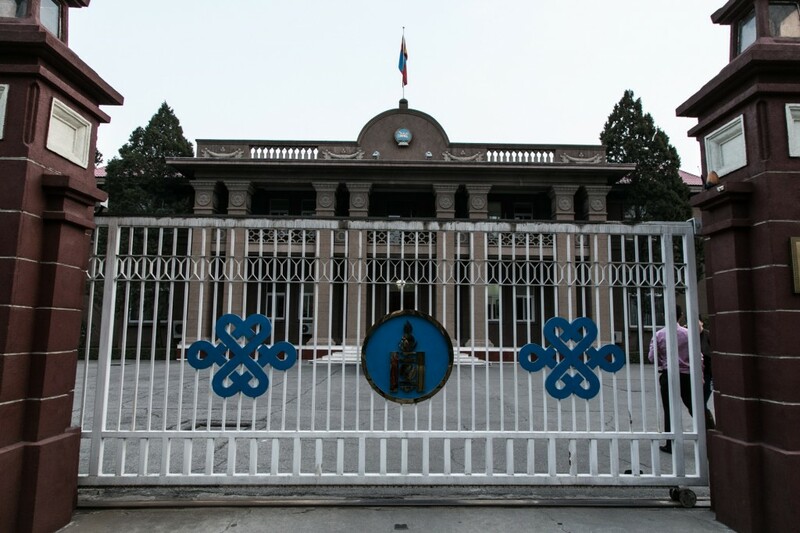 Their son Erdene, who lives in Beijing studying, manned the front gate as people from all over the world walked in. Belarus. Afghanistan. Ireland. Spain. Norway. Denmark. Belgium. France. It felt like a mini United Nations. Three women from the Indonesian and Iraqi embassies snuck in as the lights dimmed and the film started. After the screening the Afghani Charge d’ Affairs came up to me. “You have this hop hop in Australia?” he inquired. The musical genre had recently taken root in his country and he liked how Mongolian Bling had shown a fresh side of Mongolia. “Maybe we need to make a film about Afghani hip hop” he mused as people started to drift into the spring evening. I couldn’t agree more with him and as I thanked the embassy and began walking home, my mind was already dreaming up the opening sequence to Hijab Hip hop.